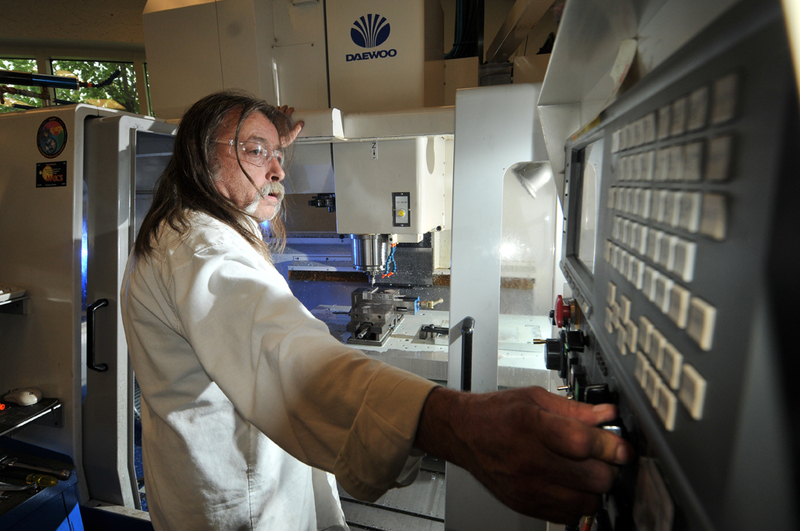 The LASP Machine Shop specializes in the creation of instrument components using a variety of materials, such as aluminum, magnesium, stainless steel, ceramic, plastic, and titanium. Our shop achieves close tolerances of 0.0005 of an inch. Experts work from prints, sketches, and Computer Aided Design (CAD) solid models, then import that information using Master Computer Aided Machining (MasterCAM) software to program our machining centers. We have four-axis capability, in addition to numerous manual lathes and milling machines for secondary operations.